A little late with Five for Friday . . . it's been a crazy busy week!! 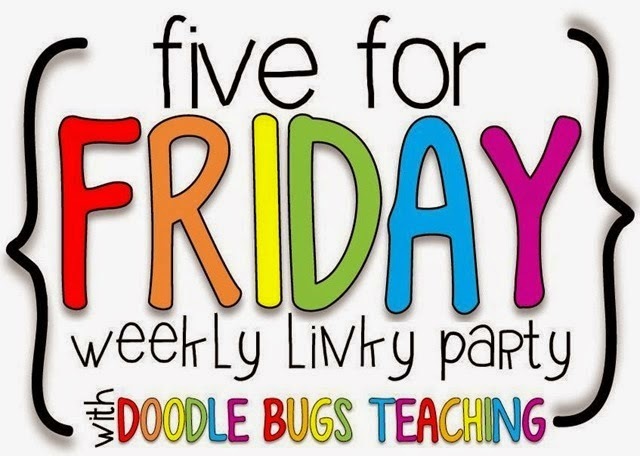 Linking up with Doodle Bugs Teaching for my 5 randoms for the week. We reached an A-Mazing milestone recently with 1,000 followers on Instagram, so we decided to host a giveaway!! There are over 40 different products from some fabulous bloggers!! We broke it down into 5 different giveaways, so you have a lot of opportunities to win!! Click on the picture above or HERE to enter!! This week we discovered Go NoOdle and our class hasn't been the same! If you haven't tried it, you must!! My kids are loving the different kinds of brain breaks. They are obsessed with dancing and love running!! They are extremely motivated to "go noodle". This will keep us going for the next 17 school days! This week we took our field trip to visit the 3rd grade classrooms in the intermediate building. But before we went, we prepared some questions for our 3rd grade friends. Going to 3rd grade and being in a new building is a pretty big deal in 2nd grade! They had some very serious questions. During our visit, we paired up with a 3rd grade class. They answered all of our questions. Then we went on a tour of the building and learned where all of the important places are, such as the nurse, gym, cafeteria, library, music room, office, art room, and most importantly - the bathrooms! After our tour, the students created a fun bookmark with their new 3rd grade friend. This is one of my favorite field trips of the year. I get to see some of my teacher friends that I used to work with and check in with some of my 3rd grade friends that were in my class last year. I love how excited the 3rd graders are to see us and I am always amazed and how much they've matured and how tall they've gotten! 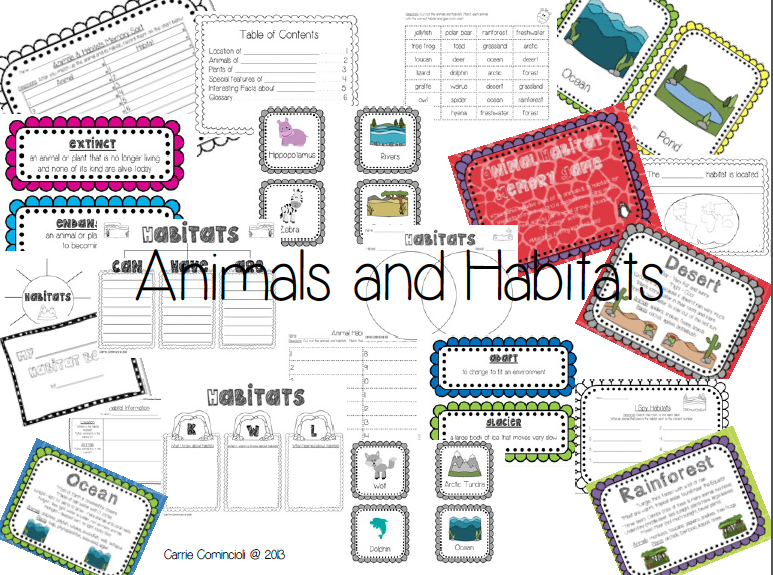 We have been studying animals and habitats for our last unit of the year. 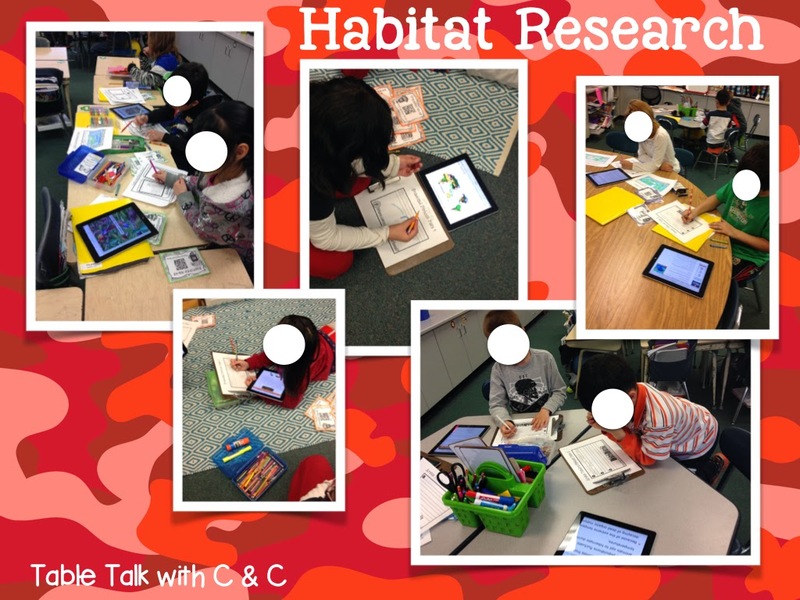 Right now, our students are working in groups to become "experts" on one habitat. 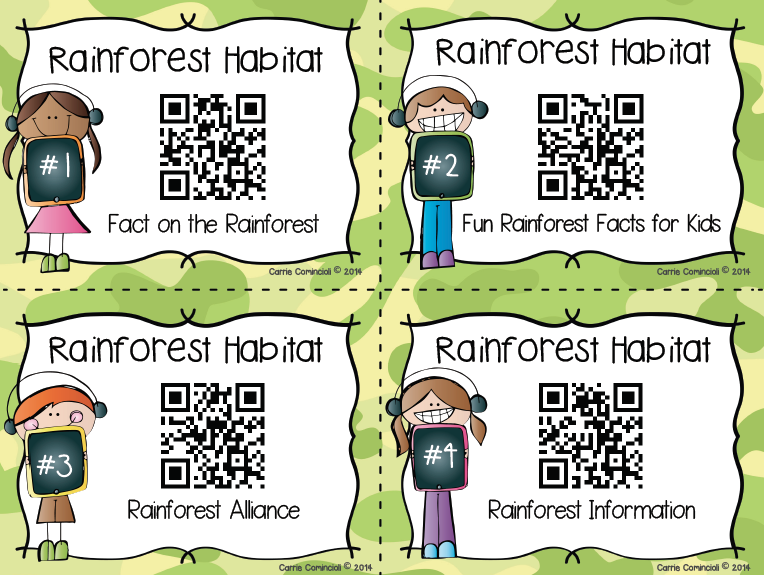 I created QR code cards for students to use with their research. This has been a lifesaver! They scan the code and then go to the website to look for information. They are loving it! Students are then creating flip books with their information. 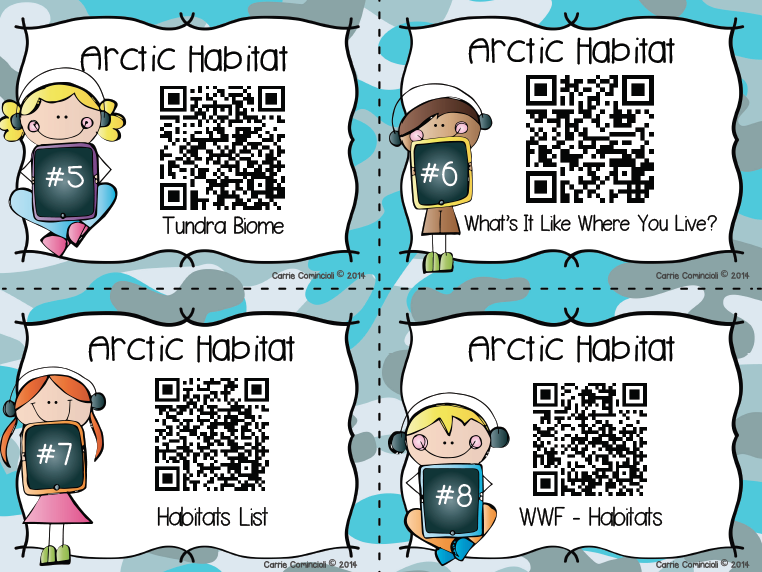 We are going to share our information about our habitat with the rest of the class next week. 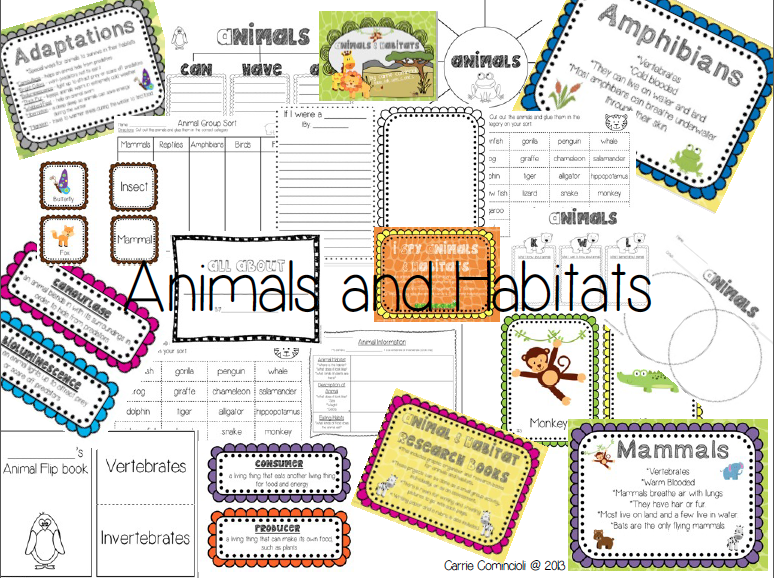 Be sure to check out my animal and habitat unit for lots of habitat activities!! Click HERE or on the picture above. Here is a preview of what's included in this unit. We have been learning about money in math. 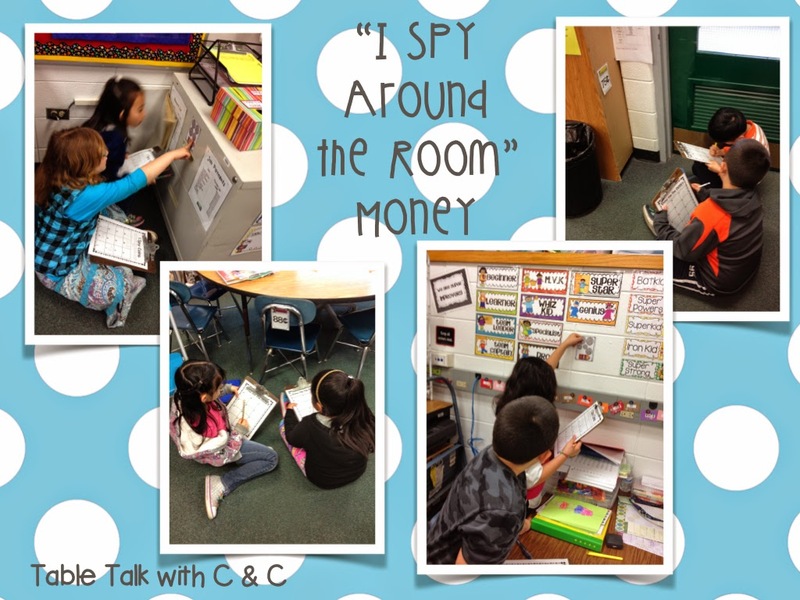 And my students LOVE a good "I Spy Around the Room" activity! This week, we did two! The first activity was finding different amounts of coins and writing down the amounts. The second one was finding the amount and writing what coins you would use to make the amount. They did very well with both! Now don't forget to enter our How Sweet It Is Giveaway!!! Click HERE or on the picture above to enter!! So many fun ideas! I love the I Spy Around the Room! Thanks!! I Spy activities are so fun and easy to do. My kids love them! Congrats on 1,000 Instagram Followers! I haven't started Instagram yet, but I will! 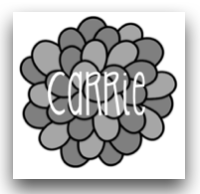 (I did enter your contest!) It looks like my second graders are doing a lot of the same things your kids are doing! I'm excited about Go Noodle! Thanks!! Instagram is fun!! 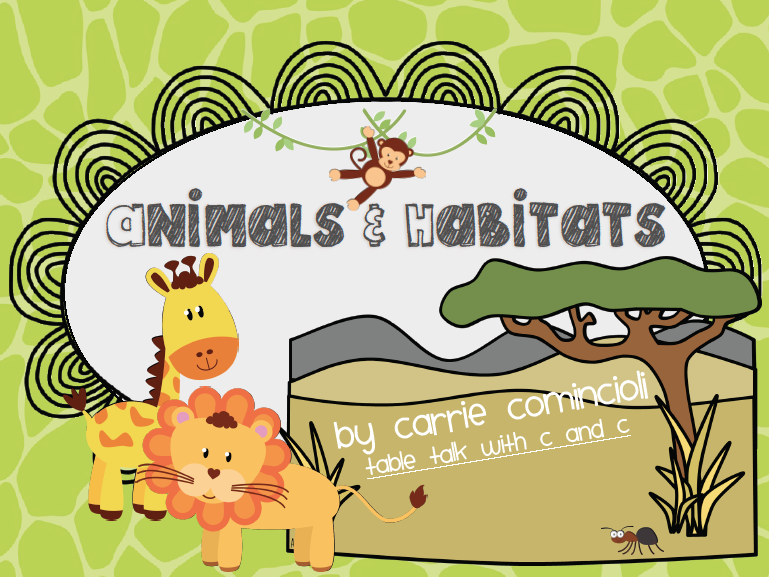 Love seeing what other teachers are doing. Your kids will love Go Noodle! Definitely keeps them motivated.